Backwater Paddle Company was spawned after a trip up the Little Econlockhatchee River in Central Florida. Ed Halm, a retired US Navy survival instructor, master naturalist and kayak eco-guide, encountered some paddling problems, identified potential solutions and Backwater Paddles was soon in business. Shortly after … the paddling industry received its first innovative, patented blade design in decades. 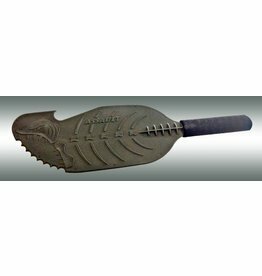 The legendary Predator and Piranha Kayak Fishing Hand Paddles had evolved. The Backwater Assassin Carbon Fiber Hybrid Paddle is the full-size version of its legendary predecessor, the Assault Hand Paddle. Fishing just got that much easier! 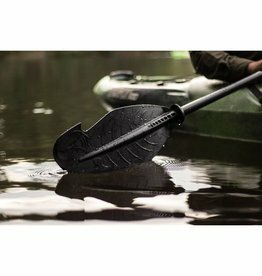 The Backwater Assault Hand Paddle is perfect if you need to adjust the position of your boat or move just a few feet without releasing your rod.